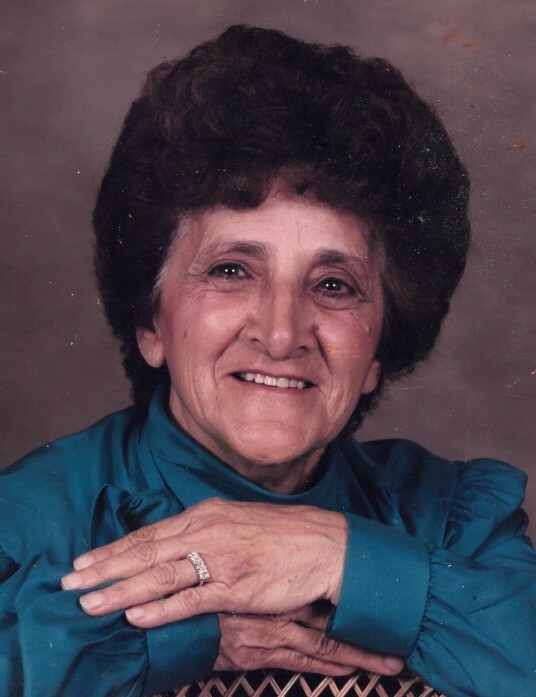 Obituary for Jean T. (Lambing) (Pingtella) Meyers | Timothy A. Berkebile Funeral Home Inc.
Jean T. “Jennie” (Lambing) Meyers 92 formerly of New Baltimore, died Monday, October 15, 2018 in Phoenix, AZ with family. She was born on December 14, 1926 in Johnstown, a daughter of the late Louis and Rosella (Galordi) Pingtella. She is survived by a son, Donald Jack Lambing Jr., formerly married to Renee Burgin; a daughter Donna Jean Piro (Lambing), married to Francis Piro; six grandchildren, Sydney, Morgan, Nolan Lambing, Jon Piro, Stefani Seigal (Piro), David Piro; and two great-grandchildren, Michael and Sedona Seigal. She was preceded in death by husband Donald Jack Lambing Sr; a son, Ronald Louis Lambing; husband Marlin Joe Meyers; three brothers Henry, Frank and Joseph Pingtella; and three sisters Mary Cicozzi, Emma Casale, and Betty Shank. Jennie was the last remaining in her large family of seven children. Jennie was a member of St John the Baptist Catholic Church, New Baltimore, New Baltimore City Council, New Baltimore Sportsman Club, and the Schellsburg VFW Post #4440. She loved to collect antiques and knick-knacks. A graveside service will be held on Friday, November 30, 2018 at 10:00 a.m., at St. John the Baptist Catholic Cemetery, in New Baltimore. Arrangements by the Timothy A. Berkebile Funeral Home, in Bedford. Our online guestbook is available at www.berkebilefuneralhome.com.